The design of the HSB control blocks from HYDAC answers to the complex and flexible requirements in the area of lifting technology. They are tailored solutions for lifting-lowering controls which are, depending on the control block, load-dependently, load-independently or proportionately controlled. Applications include, for example, scissor-lift platforms, small lift trucks and pallet trucks. The permissible load is secured by means of an integrated pressure relief valve. 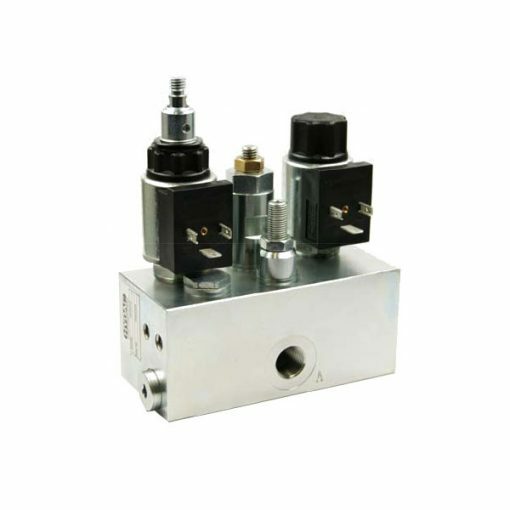 Moreover, the 2/2 two-way pilot valve possesses a manual emergency lowering with self-actuating reset. A built-in return valve prevents uncontrolled lowering. A measurement connection is provided for easy pressure measurement. In addition, a flange connection of the block to an optionally deliverable connection plate is possible.